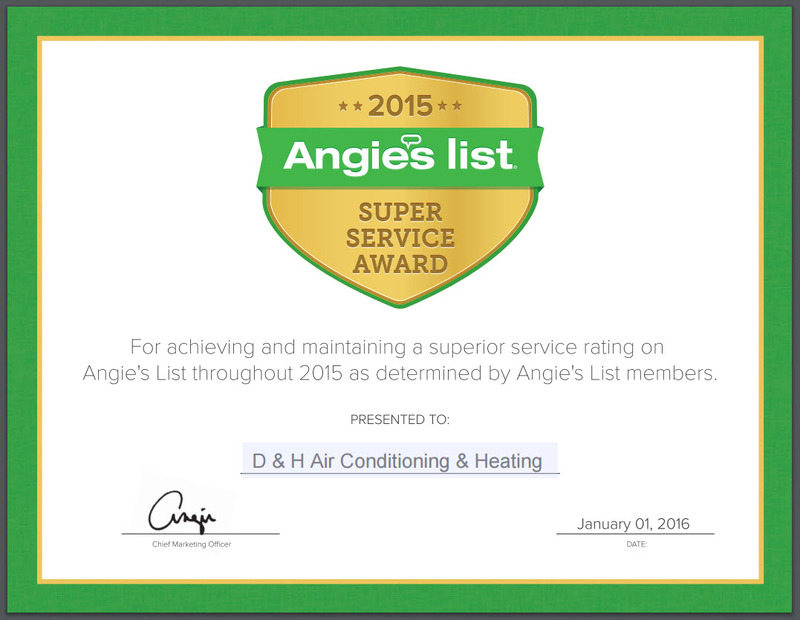 We earned the Angie’s List Super Service Award 2015! We are totally dedicated to serving you to the best of our knowledge and technical abilities for the repair, maintenance and installation of air conditioning units and gas heating furnaces. Call our Hot Line at (520) 408-2665 to inquire about your brand and our services. Who is eligible for this noteworthy achievement? The Super Service Award is based on businesses overall ratings and reviews from November 1st thru October 31st of the next year and winners are notified in December. You can’t buy this Award. Every year, Angie’s List gives the SSA to the top A-rated companies in their category, within their market. D&A Air Conditioning & Heating is a A-rated company in the HVAC industry in Tucson and Southern Arizona. Angie’s List may give the award, but people determine the winners based on their reviews. People’s reviews let Angie’s List know which companies provide excellent service. Moreover, a company must have a minimum number of reviews to qualify for the Super Service Award. When you search for an HVAC company on Angie’s List, looking for small golden stars next to the business name. When you click on a listing, a SSA logo sits on the company’s profile. This enables you to verify that any company advertising theyr received the Award… actually received it! If you are pleased with our service, please let Angie’s List know by logging onto Angie’s List and submitting your review on D&H AC: your vote gives us a chance to earn the SS another year and to continue setting a great example of service to other HVAC companies in Tucson. NEED AN APPOINTMENT to maintain - repair - replace your system?